George, Butchie, Georgie and Gigi—all the same person but all so different. George was a boy who realized he was a girl when he was a child. He never hid this but didn’t flaunt it either. He fully lived his life all the time planning to become a woman. 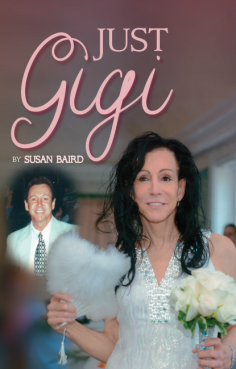 He accomplished this dream in his mid-sixties and full became Gigi. After this, Gigi married the love of her life, her partner of over 40 years. They had two wedding ceremonies. Gigi said this was to make sure they were good and married. They then planned on living happily ever after. But tragedy struck. This is a true transition story full of triumphs and trials, joy and tears. We know you will enjoy meeting and getting to know Gigi Conboy Rosselli.